Passengers will start travelling on the new Metrolink extension to East Didsbury next week – three months ahead of schedule. Services will start on Thursday (May 23rd) after tests on the line proved successful. The 2.7-mile route is an extension of the South Manchester line that currently ends at St Werburgh’s Road in Chorlton. 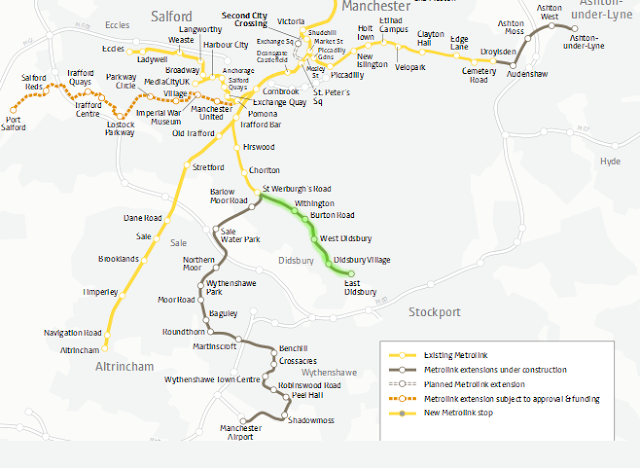 The line will include five new stops at Withington, Burton Road, West Didsbury, Didsbury Village and East Didsbury. It is hoped that it will ease congestion on some of Manchester’s busiest commuter routes, including Kingsway, Wilmslow Road and Princess Parkway. A 300-space park-and-ride site, which will be free for Metrolink passengers, has been built at the East Didsbury stop. The first tram will leave East Didsbury at 5.49am. The journey to the city centre will take less than half an hour. 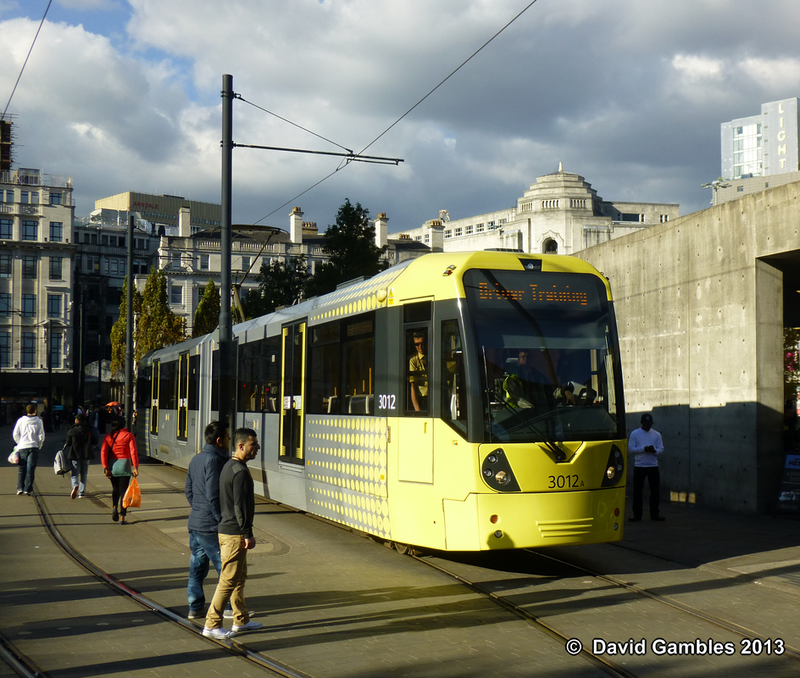 Andrew Fender, chairman of the Transport for Greater Manchester Committee, said: “It’s fantastic to be able to announce the opening of this new line several months earlier than we expected. “It’s something that I, personally, have been promoting for more than 30 years, but for it to be complete so far ahead of schedule is a wonderful achievement, and my thanks for that go to TfGM, our local authority partners and, of course, our contractor, MPT. “This new line is a great addition to our ever-growing Metrolink network and will give people a new and exciting way to experience all the vibrant things that south Manchester has to offer.” Services to and from East Didsbury will run every 12 minutes all day Monday to Saturday and between 9am and 6pm on Sundays and Bank Holidays, and 15 minutes at all other times.